Waiting on Wednesday is a weekly meme hosted by Jill at Breaking The Spine. It showcases each blogger's most anticipated books. 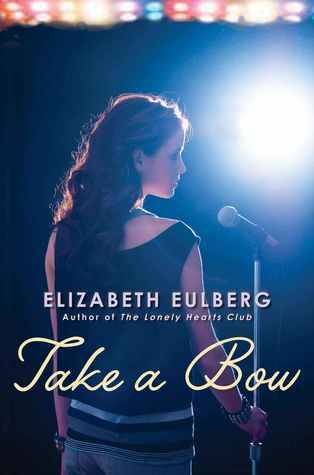 This week, my pick is Take A Bow by Elizabeth Eulberg. Summary: "From the fantastic author of The Lonely Hearts Club and Prom & Prejudice comes a story of all the drama and comedy of four friends who grow into themselves at a performing arts high school. Emme, Sophie, Ethan, and Carter are seniors at a performing arts school, getting ready for their Senior Showcase recital, where the pressure is on to appeal to colleges, dance academies, and professionals in show business. For Sophie, a singer, it's been great to be friends with Emme, who composes songs for her, and to date Carter, soap opera heartthrob who gets plenty of press coverage. Emme and Ethan have been in a band together through all four years of school, but wonder if they could be more than just friends and bandmates. Carter has been acting since he was a baby, and isn't sure how to admit that he'd rather paint than perform. The Senior Showcase is going to make or break each of the four, in a funny, touching, spectacular finale that only Elizabeth Eulberg could perform." This book looks so good!! I'm gonna have to add this to my TBR/can't wait for list! Thanks so much for sharing! I like the sound of this one, though I haven't read any of Elizabeth Eulberg's previous books. Thanks for putting this on my radar! Great choice! I can't wait to read this one either, it sounds awesome. I love Elizabeth's writing too! Sounds like a great book. I really need to check out these books and this author thanks for sharing girl. Check out my WoW when you get a chance. i want to read more by this author. this book is also on my wishlist. 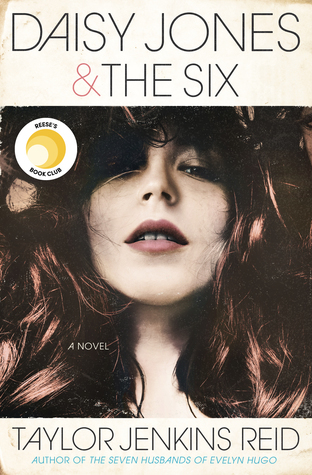 love the cover and the synopsis.